We spent one day a week for four years volunteering at the Town Shelter. We originally went there to walk the dogs and spend some time with them to make their sad days a little better. After a month or so, we realized that there was a way we could help to actually get dogs adopted and out of the shelter to make room for another dog in need. 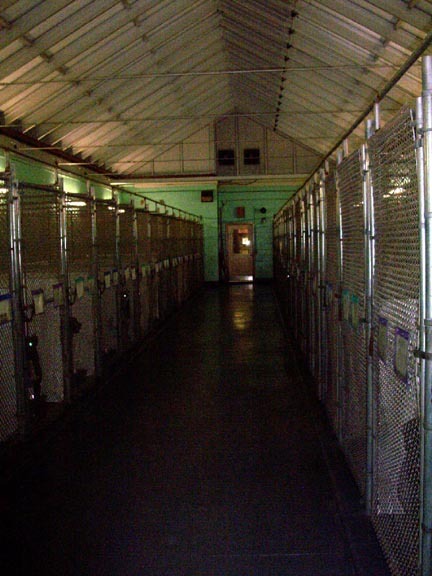 We found out that the shelter and also the head volunteer had web sites but were unable to maintain the constant updates required to make such a system work. 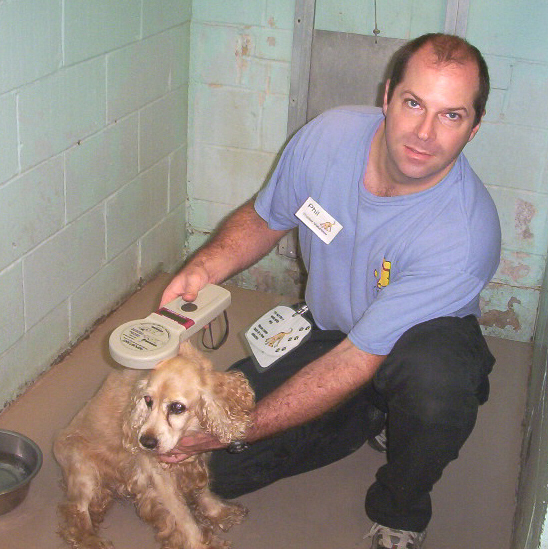 Scanning a Cocker Spaniel for a microchip. After inventory, I walk the dogs and get to know them a little. I test their temperment to see if they are suitable for homes with children, how they get along with other dogs and cats. I also test them for any previous training such as sit and paw. Finally, a few digital pictures are taken of the dog. If time and energy permit, I might grab a particularly dirty dog and give it some grooming. 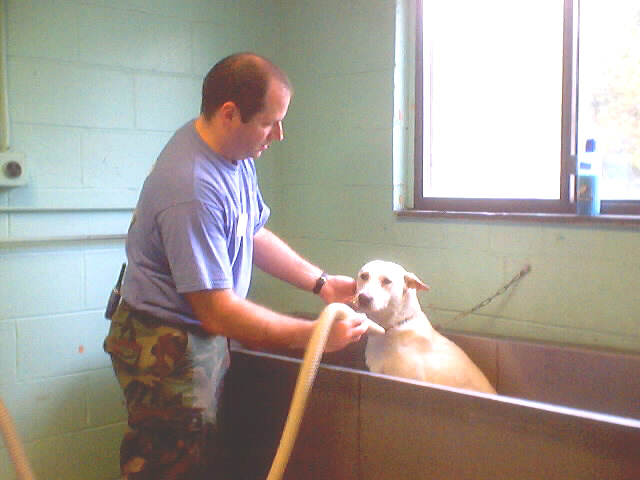 This might be as simple as a bath but often also involves clipping off matted hair, trimming nails and cleaning ears.